Bumps Ahead: The U.S. Border After Canada Cannabis Legalization – Cannabistical: of or concerning cannabis. Canada’s cannabis legalization creates yet another wrinkle in the relations between the U.S. and its northern neighbor. U.S. Attorney General Jeffrey Sessions harbors a well known hatred towards anything cannabis and he clearly has no love for Canada’s Cannabis Act either. What will this mean though for Canadians who are 100% legally involved in Canada’s cannabis industry when coming to the United States? [a] Canadian citizen working in or facilitating the proliferation of the legal marijuana industry in Canada, coming to the U.S. for reasons unrelated to the marijuana industry will generally be admissible to the U.S. [H]owever, if a traveler is found to be coming to the U.S. for reason related to the marijuana industry, they may be deemed inadmissible. (Emphasis supplied). Though this statement is a welcome surprise, it still provokes skepticism from U.S. immigration lawyers who have seen countless foreign nationals banned for life from entering the U.S. because they once used marijuana or were once associated with the cannabis industry. Under the U.S. Controlled Substances Act (“CSA”), passed by U.S. Congress in May 1971, cannabis is classified as a Schedule I drug, which is reserved for substances like heroin and LSD, among others, that: (i) have a high potential for abuse; (ii) have no currently accepted medical use in treatment in the U.S.; and (iii) lack accepted safety for use under medical supervision. 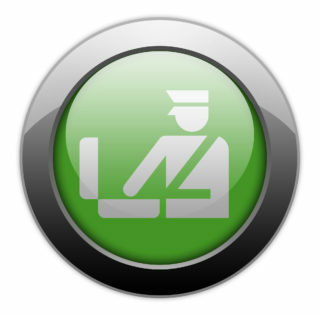 Even a foreign national who has never consumed marijuana could be declared inadmissible under the INA based on his or her involvement in a legal cannabis business, either as “a knowing aider, abettor, assister, conspirator, or colluder with others” or “an illicit trafficker” of a controlled substance. Earlier in the year, we saw two examples of this when Canadian businesspersons Sam Znaimer and Jay Evans were banned for life from entering the U.S. because of their intended affiliations with U.S. cannabis industry. Of course, lying about the use of or affiliation with marijuana would also render a foreign national inadmissible and you should avoid this at all costs. CBP has the legal authority to search electronic devices, and if it finds conflicting and/or incriminatory evidence about a foreign national’s actual or intended activities, that foreign national may be refused entry into the U.S. or even given a lifetime ban. Once declared inadmissible, a foreign national needs a waiver of inadmissibility from the CBP to enter the U.S. These waivers are discretionary, costly, time-consuming, and limited in validity to between one and five years. Even with a waiver, a foreign national will typically face secondary questioning and delays each time he or she attempts to enter the U.S., even when the purpose of the visit is purely personal. Foreign nationals have also been historically denied entry for profiting from the drug trade. Because of this, cannabis lawyers were concerned that virtually all foreign nationals lawfully engaged in Canada’s cannabis industry would be deemed inadmissible even if coming to the U.S. for purely personal reasons. The recent statement from the CBP appears to exempt individuals who seek to enter the U.S. for reasons unrelated to cannabis. However, the process of admitting foreign nationals into the U.S. remains discretionary and subjective and only time will tell just how exactly the new policy will be applied at U.S. ports of entry. Next: Why Are the Cannabis Regulations So Different From Province to Province?